Over the Summer we've had a number of Birthdays. Andrew turned 6, Nora turned 5, and we now have a 5, 6, and 7 year old. 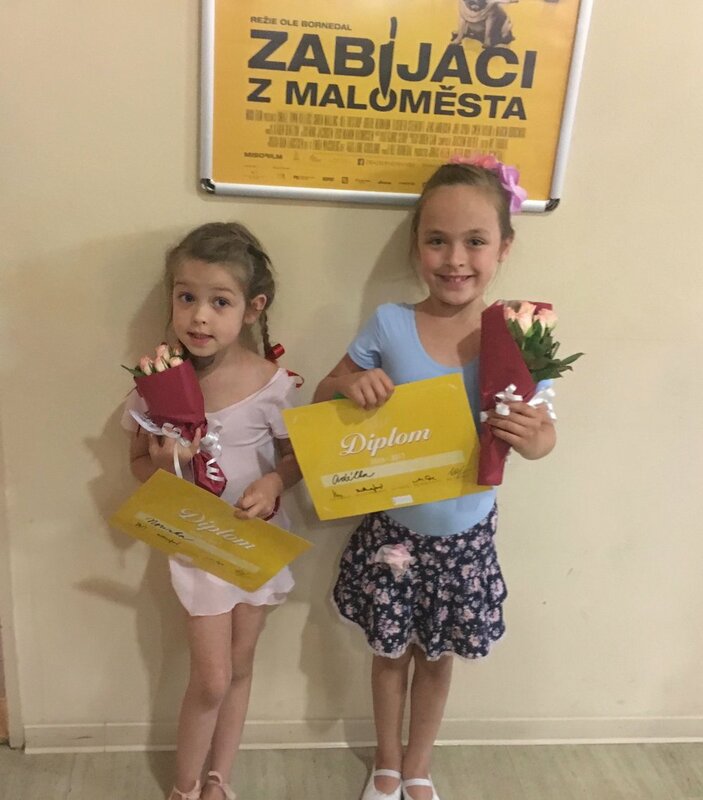 The girls had their first ballet recital and Andrew has quit Muey Thai for Greco-Roman wrestling. The Summer months were a change of pace from the consistency of the school year (it's interesting how that works in a college city), so creating rhythms for our family that help us grow together have been very beneficial. It has been, in my view, the fastest season we've ever had, so it was good that we took lots of pictures along the way! Andrew recently had a Birthday! We now have a 5, 6, and 7 year old. Translation: Killers from a small town. In July I (Dan) had the opportunity to travel back to Colorado to connect with our CO supporting churches and get to know our most recent church (The Crossing) in Fort Collins better. And they even let me preach! :-) So, it was a huge honor to get to know them, hopefully be an encouragement, and join their wider network conference (called Crossway Chapel). I also got to reconnect with the Vail church, which was a real treat to meet with their mission team. As well as as our CO home at Park Church. That is a group of people you wish you could uproot and take with you wherever you go. Thankfully we share the same heartbeat for Jesus, and we get to bring that here. Having the opportunity to meet up with our supporters was an immense encouragement and it really helped set the pace for the rest of the Summer after I returned. And.......The food. I have missed green chili smothered burritos at Illegal Pete's and that was nice. Visiting Park Church was like coming home to a great group of people who were like a glass of cold water for a marathon runner. During Dan's trip to the States he had the honor of getting to know a supporting church of ours and the whole Crossway Chapel Network. It was a very good conference and we look forward to coming back someday! Probably the #1 food I missed in the States: Illegal Pete's Green Chili Smothered Burritos. It would be impossible to capture everything this summer brought us, but we had a number of events along the way worth sharing. 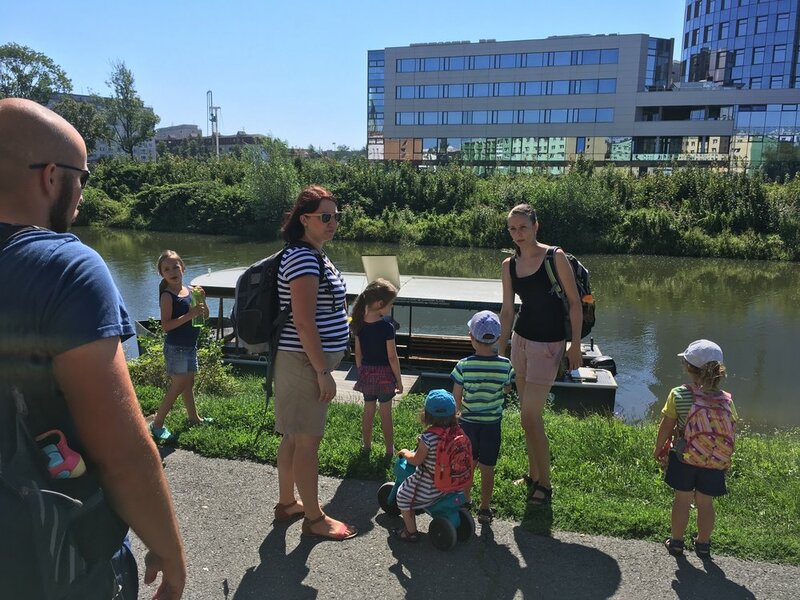 In July we joined the church in Vsetin for a family camp, This was a time for Christian and non-Christian families to come and learn some English from real live Americans, and also hear the Gospel through the evening program. A few weeks later we had another family camp in Olomouc hosted at our house. It was a theme of a lost sailor trying to regain his memory. This gave the kids opportunity to explore the different cultures around the world, and we got to see this find it's culmination at the fort of Olomouc, where we had Church. There was a lot of work put into this, and we're grateful to have seen it turn out so well. New relationships were built and it was a great opportunity to share Jesus. The weekend following the camps our two friends Owl and Lucie got married. Not only was this our first Czech wedding to attend, but they also invited our kids to be the ring bearer and flower girls. It was really sweet, and it was great to reunite with a lot of people we've known from around the country. The theme of the Olomouc English Camp was the traveling the continents to help a sailor regain his memory and find his treasure. 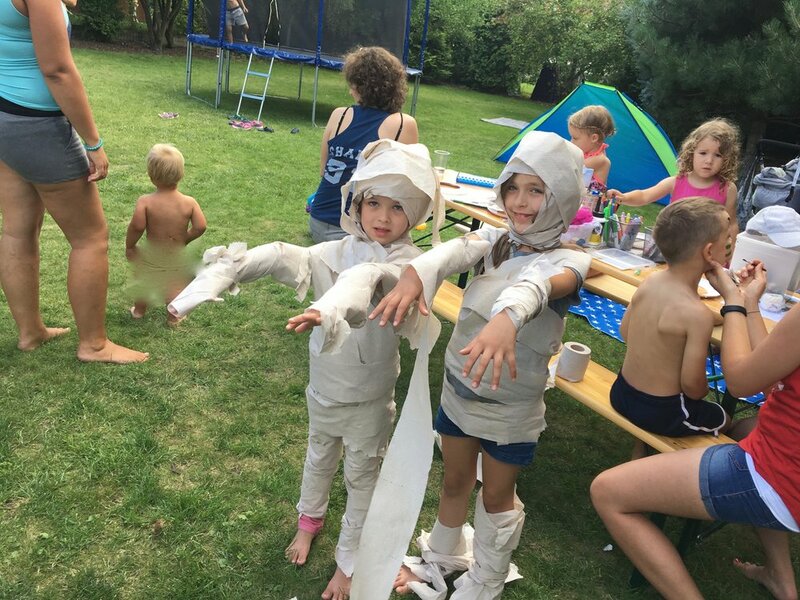 The kids made their way to Egypt and turned into mummies. To get to the fort we had to travel by boat. We have a tradition in our family where we take our kids to cemeteries. One of our core values is Memento Mori (remember death). This is to give us visual reminders that we are only given the dash between our birthdate and our own death, and while Jesus has conquered the grave, memento mori motivates us to use the life we've been to the fullest. "Only one life will soon be past, only what's done for Christ will last." Exploring nature with this beautiful woman. Over the summer we had the privilege of hosting a lot. One thing we prayed about before moving here was that our home would be used as a house of hospitality. And that's exactly what we've been given. During the Summer months we slowed down a bit on doing studies together with our small group and we opened our house every week for neighborhood BBQ's to create a space for people to get to know us and the church. This has been a great means of building relationships and a more easy going space to explain why we're here and who Jesus is. Since there has been a change in management over the place we normally gather on Sundays we ended up having church in our home for the past three months. Now, we are back to the art center, but there may be a need to find a new location in the coming months, so please be praying for us about that. Lots of food and great people. Our City has a rich history and this part of the world was once a light house of reformation, through such groups as the Moravians and people like Jan Hus. We're praying the Majak (Lighthouse) church plants would be God's means to see the Kingdom advance through the planting of more local churches, so that disciples would be made and the Gospel would be clear. Olomouc Wine (Vino) festival. Moravia, the region of CZ that we live in, has wine worth bragging about. Our good friend Devin showing Nora how to use the camera. It was great having him out here to visit on his short term mission trip.